After wringing the water out of our socks, we have a few observations on the soggy Test Day action. The day started with a sky of battleship grey but the rain did hold-off for long enough for a few times to be set. 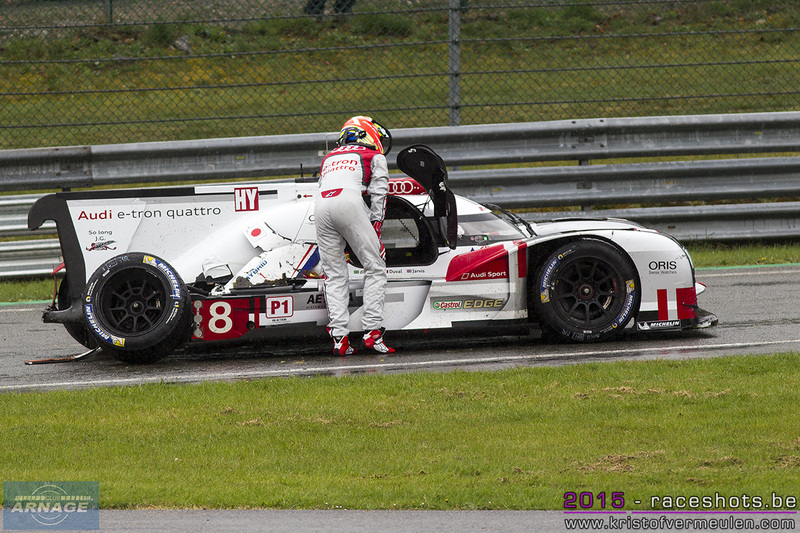 In LMP1 Audi and Porsche exchanged fastest times overall, but it was Jani in Porsche 919 #18 who put in the fastest time (3:21.945) just before the heavens opened and the track remained wet for the remainder of the session. 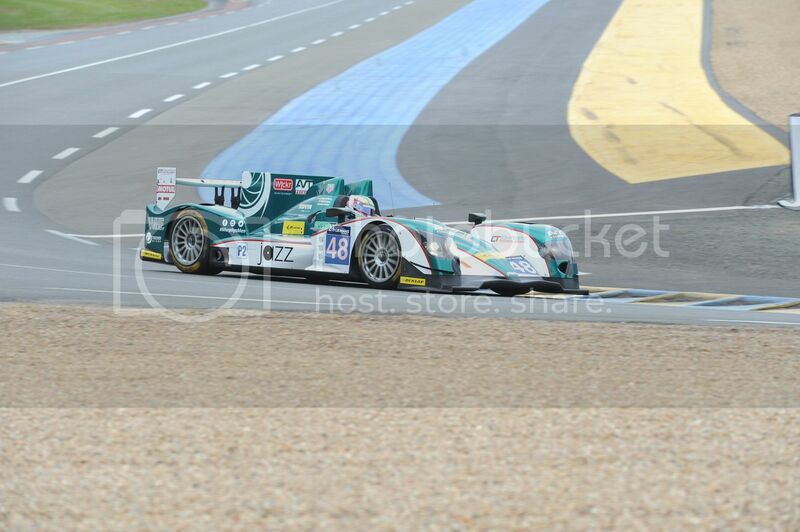 In LMP2 it was the Oak Ligier #34 quickest. In LMGTE Pro the Corvette #64 was consistently quick and finished a fraction ahead of the #51 AF Corse Ferrari that is a more familiar sight at the top of WEC timing screens. In Am the #61 AF Corse Ferrari was quickest. That said, the dry part of the session was over in about 30 minutes so it is hard to read anything from those times. The three Nissan GT-R LM were off the pace on lap times but could take comfort from setting the quickest speed trap time of 336kmh, solidly quicker than the 332.9 of the quickest Audi. The ByKolles CLM #4 exploded a tyre and demolished its rear deck. Sadly the team did not have a spare, and took no further part in testing despite being otherwise unscathed. The second session started 'damp' but dried out quite quickly and it was the turn of Brendon Hartley in #17 to post the fastest dry time of the day 3:21.061, but again the sky darkened and rain began to fall and never really let up. The session looked like it might dry out a few times but just as a dry line was forming, the rain would return to erase it. 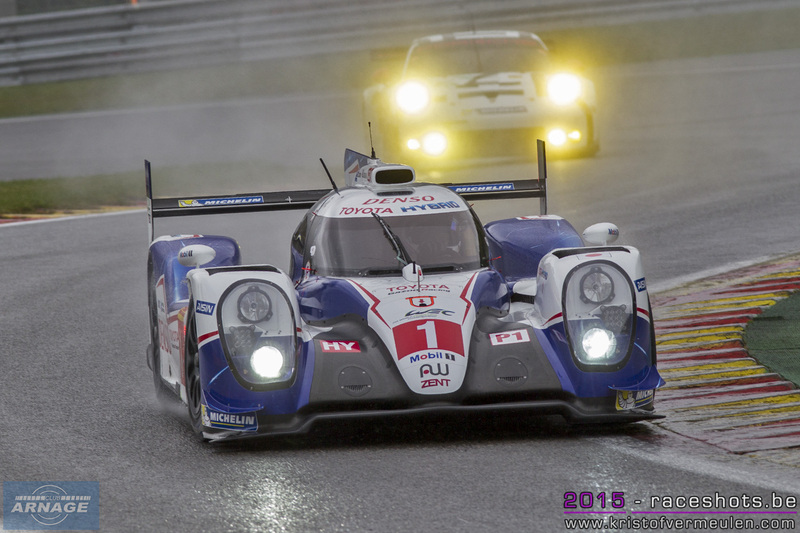 In LMP2 the Murphy Prototypes Oreca #48 was fastest, but did not quite beat the best P2 time of the first session. 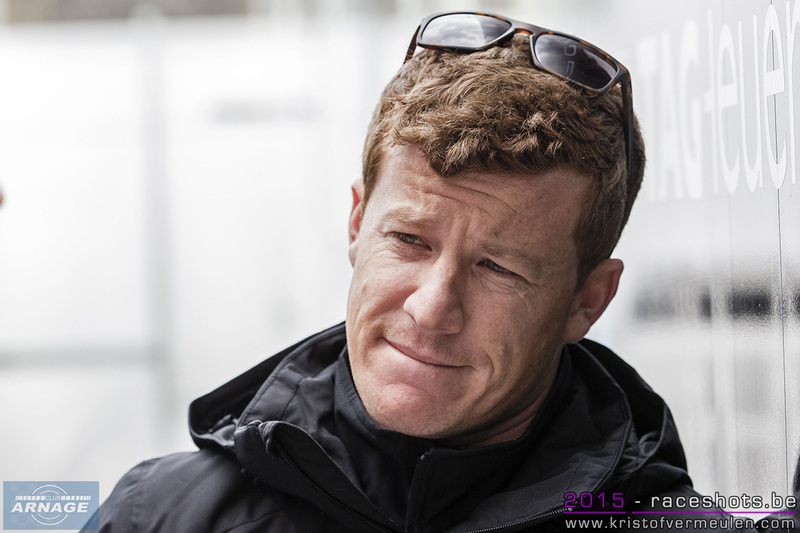 In GTE Pro it was Aston #97 quickest, and they did beat the morning time with a lap of 3:58.069 by Darren Turner. In Am it was Aston Martin again, with Lamy in the #98 also beating the morning session time with a lap in 3:59.338. 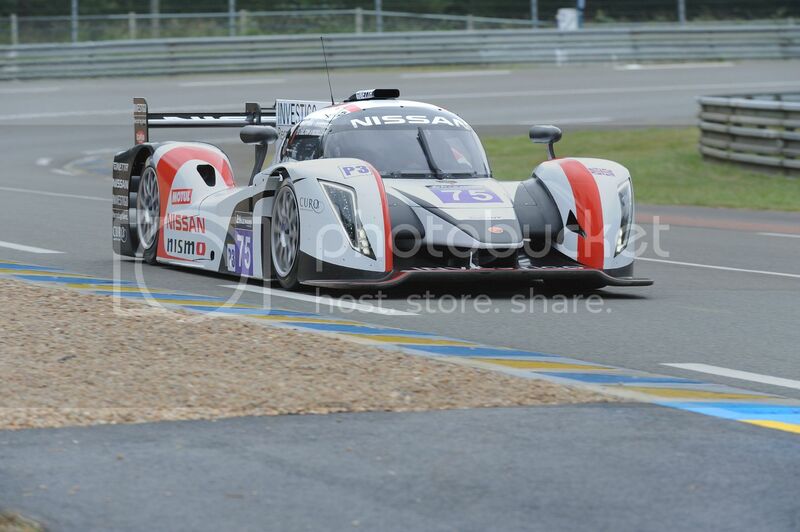 The LMP3 Ginetta/Nissans will not feature in the 24 hours but gained valuable experience on the 'big' circuit. 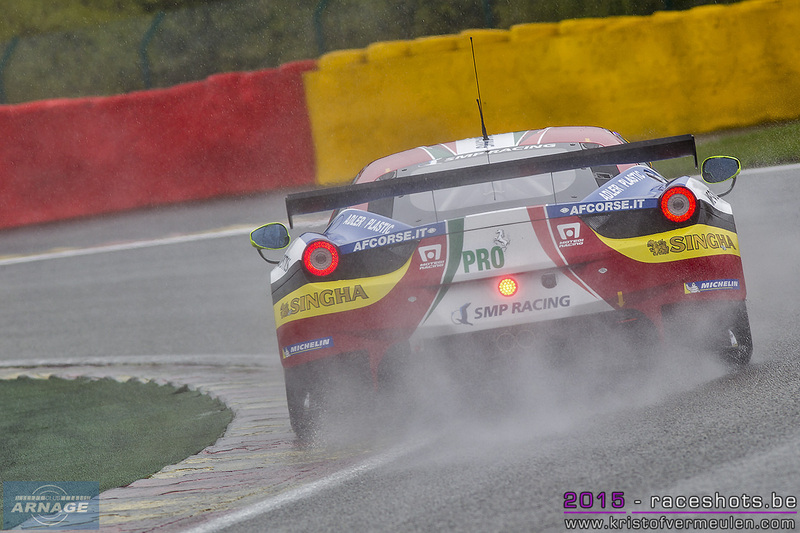 The best P3 time was 3:58.308 by #74, putting them neatly between the pace of GTE and LMP2. On a final note, we were impressed (as always) by the work of Race Director Eduardo Freitas and his team, who dealt with the many off-track excursions in the wet conditions with admirable efficiency. Toyota Gazoo Racing have announced today ( Saturday 30th May) that Kazaki Nakajima has been declared fit to drive at the Le Mans Testing session on May 31st. You will recall that Kazuki had that big accident at Spa on April 30th that put him into hospital in Verviers with a what turned out to be a fractured vertebrae. He was then moved to Nice for specialist treatment at their neuro-radiology department.At this point his chances of driving at Le Mans looked very slim. However his treatment has been highly successful and The FIA Medical Delegate Dr Jacques Tropenat has confirmed Kazuki’s fitness to drive after an examination on Saturday morning. 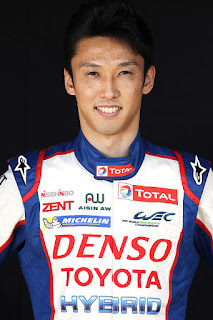 The team plans to use the test session to check out whether Kazuki will be fit enough to rejoin Davidson and Buemi in the #1 TS040 Hybrid Toyota for the 2015 24 Hours of Le Mans. Various people have been in touch with us, including Travel Destinations, to tell us that the police are planning on taking a particularly serious view of anybody speeding, drinking or maybe even just being enthusiastic. We get warnings like this every year but this one would appear to carry some extra weight. Don't forget cars with foreign registration plates appear to be more vulnerable than the locals. Any feed back via the forums would be welcome. Anyway take care .. you have been warned ! On May 19th 2015 The ACO told us that the grandstands are sold out for test day proving yet again how popular the Le Mans 24hrs has become. A day spent at testing is a much more relaxed and informative day for spectators with far fewer people around and plenty to see. For the main event there are 56 pit garages or boxes but for testing The ACO allow 65 cars to come along . As a result various teams will be sharing pit garages. 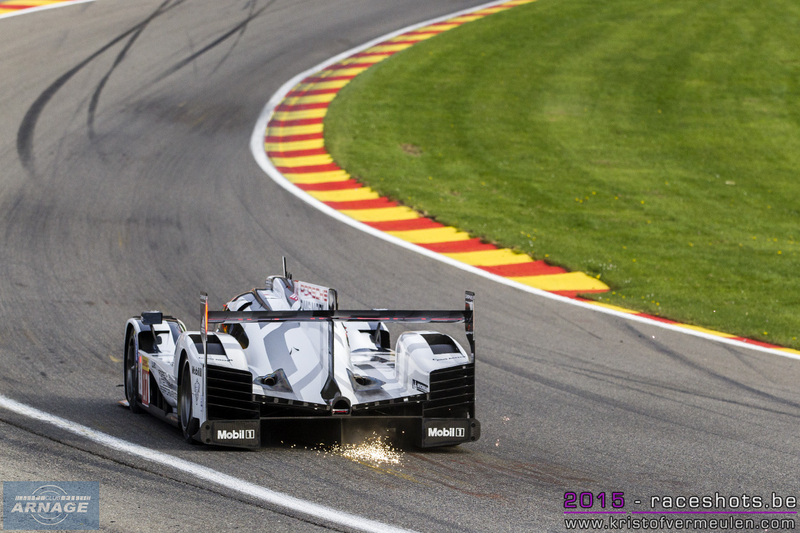 An interesting addition to the invited cars this year will be the new LMP3 category machines. 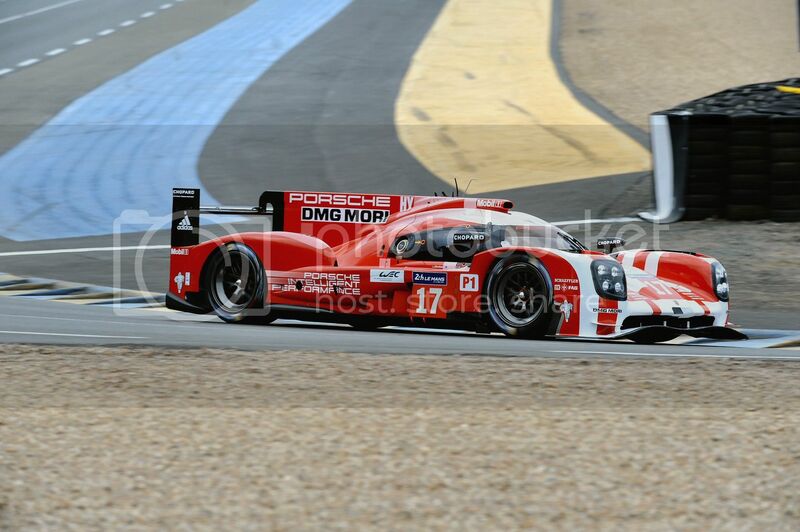 They will be testing but will not be competing in the actual 24hrs of Le Mans. They are coming along to see how they perform on the full circuit in preparation for LMP3 possibly becoming a recognised class in the future. There will be two Juno Ginettas and two LNT Ginetta Nissans. There are five main race 'reserves' who are permitted to test. These are #49 KCMG Oreca -03 Judd, #60 Formula Racing Ferrari 458 Italia, #86 Gulf Racing UK Porsche 911RSR, #65 Proton Competition Porsche 911RSR and #44 Ibanez Oreca 03R Nissan. 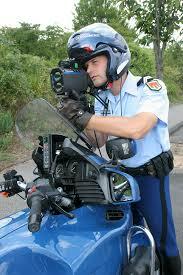 This brings the total number of cars invited by the ACO to come testing to 65. After another 4 hours of great racing, it was the Thiriet by TDS Oreca 05 who grabbed the win in Imola's ELMS race last weekend. Harry Tincknell, behind the wheel of the #38 Jota Sport managed a comfortable 18 second lead after half an hour of racing. Behind him, the battle for 2nd to 5th was fierce with Mark Patterson in the Murphy prototype defending his second place with a charging Roussel (Pegasus) and Windheim (Greaves) behind him and Pierre Thiriet joining in after 8 laps. 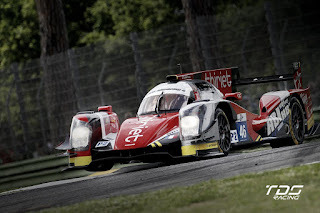 Thiriet started the race in 9th place after an off in qualifying, but his Oreca-Nissan showed outright speed and charged through the pack to the battle for second place. The first safety car was deployed on lap 19 after Henry Hassid visited the gravel trap at Villeneuve chicane with his Marc VDS BMW Z4. This ment Tincknell's lead was gone by the restart, but he managed to build up a new gap to the by then second placed Oreca 05 of Thiriet by the first pitstops. Lap 60 saw a second safety car on track after the #5 Villorba Corse Ginetta parked himself at the entrance of the pitlane. In the meantime Simon Dolan took over the Jota from Tincknell but had to come in again with a damaged front left wing, after attacking the curbs too hard while navigating through slower traffic. 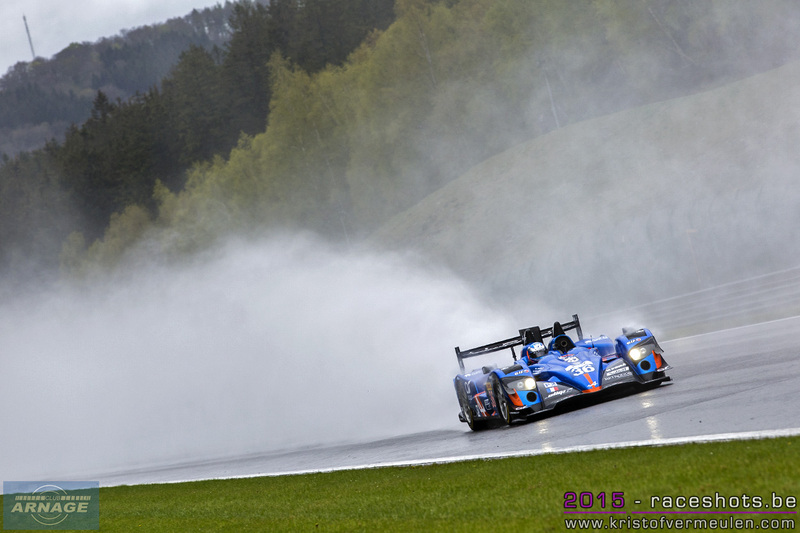 After the safety car period, the Thiriet Oreca, now driven by Ludovic Badey, was leading with the Murphy LMP2 second and Hirsch in the Greaves Motorsport Gibson on third place, despite a spin at the end of the safety car period. Badey and Hirsch battled out for the lead but Hirsch lost some time while overtaking the #29 Pegasus, after which Badey managed to build up a comfortable lead. 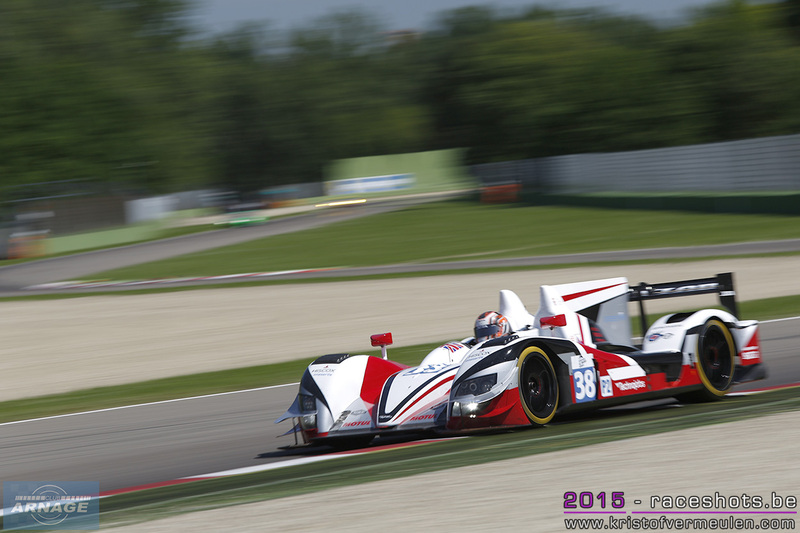 Gommendy controlled the race afterwards and brought Thiriet by TDS and the Oreca 05 its maiden win. The Murphy LMP2 finished second after a strong team effort with 63 year old Patterson in the opening stint, a double stint from Michael Lyons and a strong finish of Nathanael Berthon. Jota came in third, despite a late pitstop at the very end of the race and a 95 second penalty after an irregular pitstop. 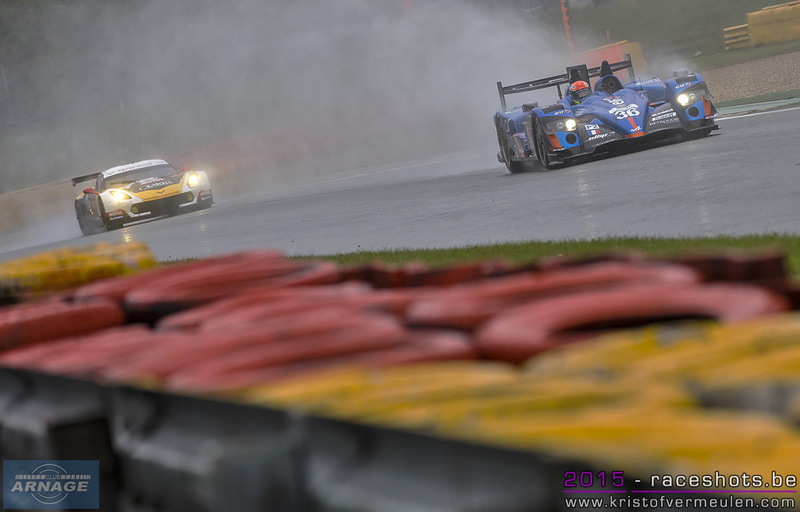 Jon Lancaster placed the Greaves' Gibson on 4th place, ahead of Krohn Racings Ligier-Judd. The SMP BR01 prototypes ran at the back of the LMP2 field, collecting data for the Le Mans debut with the #37 car finishing in 8th place and the #27 having to retire in the final hour of the race with a fuel leak. In the LMP3 class, the #7 University of Bolton Ginetta took the honours with a comfortable 2 lap lead over the competition. Charlie Robertson took pole in his LNT-Ginetta and built up a comfortable lead in the early stages of the race but a penalty and technical issues saw him falling back into the order. The SVK by Speed Factory Ginetta took the lead for a brief time but had to settle with second place, holding off the #23 Lanan car. The GTE class brought some thrilling racing with the top 4 cars only separated by seconds in the last 2 hours of the race. After 4 hours, the #56 AT Racing Ferrari took the chequered flag ahead of the #88 Proton Porsche 911 and the #60 Formula racing Ferrari. Despite dropping down the field at the start after an unfortunate spin, Allessandro Pier Guidi managed to hold off the competition at the chequered flag, with just seconds dividing the top 4 in class. 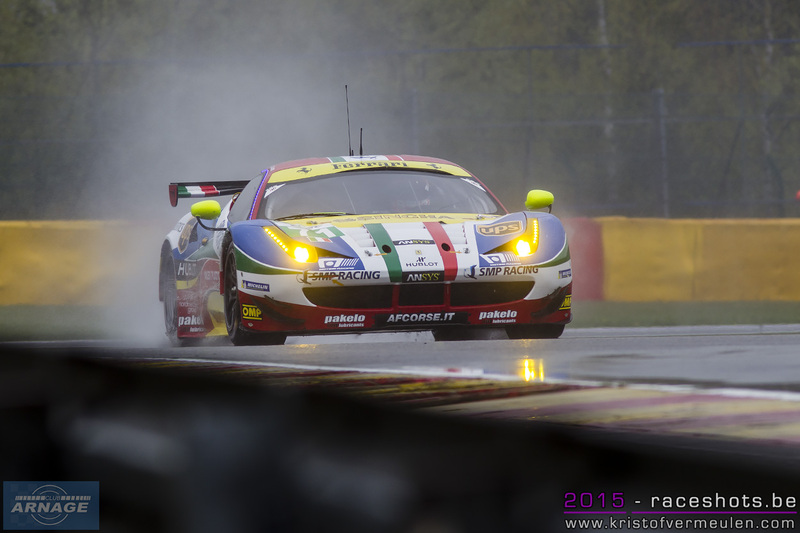 AF Corse dominated GTC with a clean sweep on the podium. Stuart Hall took the win in the #62 Ferrari ahead of #63 and #64. Massive Motorsports Aston Martin was quickly out of contention, so the AF Corse Ferrari's only had the TDS Racings BMW Z4 challenging them. Unfortunately the BMW lacked outright speed, so the Ferrari's could battle it out for the podium. 11 ELMS teams now head on the Le Mans for the 24 hours, the next ELMS race is at the Red Bull Ring in Spielberg, Austria on July 12th. 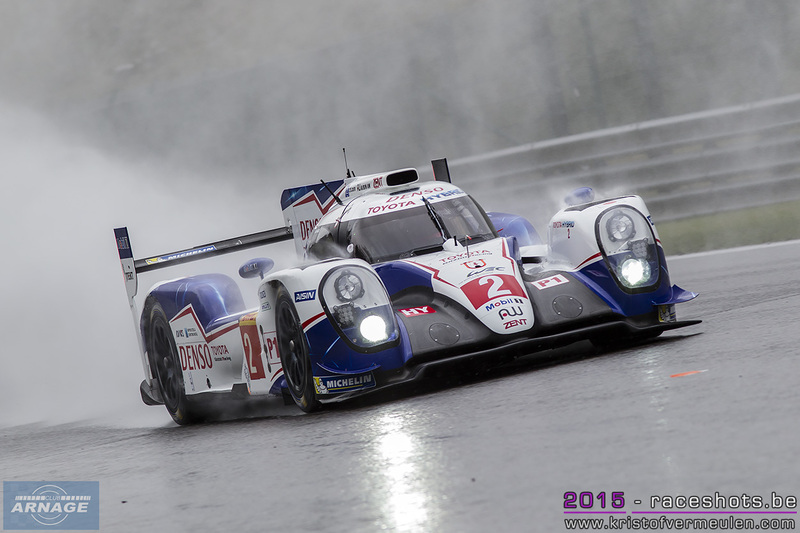 Rebellion will be at Le Mans! A Twitter from Rebellion on May 21st informs us that they will be at Le Mans this year. There hadn't been much information coming from the team so there was concern that the R-One AER might not make it. We have to say it looks stunning! Whether it will race with this colour scheme we don't know.The photo was taken at Circuit Paul Ricard. After a thrilling opener of the season at Silverstone, the European Le Mans Series heads on to Imola for the second race of the 2015 season. Jota Sport dominated the field last year in Italy, and they will be eager to repeat that on Sunday. 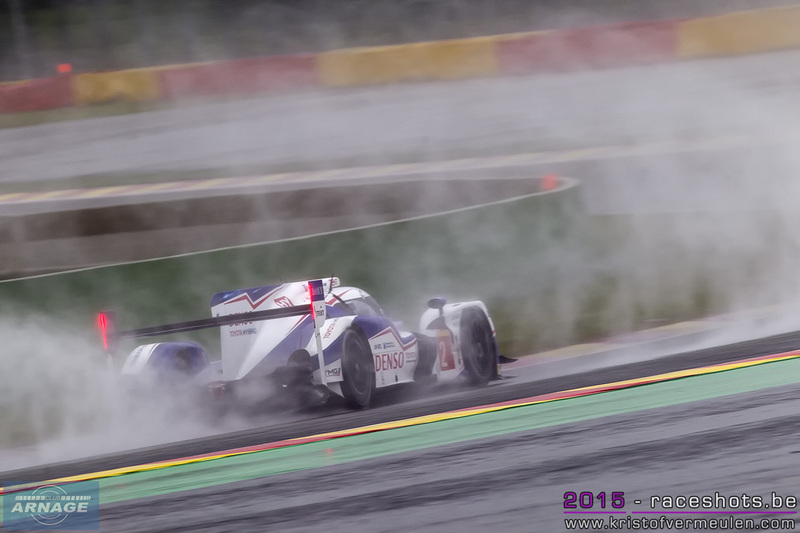 At Spa last month the Gibson/Nissan signed for a clear win in the LMP2 class, putting the expectations high for this weekends race. But they will have to deal with Greaves Motorsport who clinched the opening race at Silverstone after a tantalising finale. 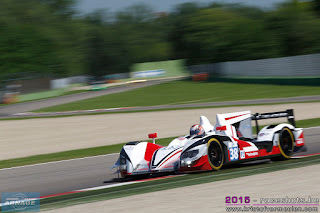 Thiriet by TDS will be close too in their Oreca 05 as should be Murphy’s men, eager to get off to a good finish on Italian soil in the Murphy prototype. This race also sees the debut of the long expected BR01/Nissan by SMP racing, designed by Paolo Catone, who was also comitted to the design of the Peugeot 908. After a succesfull 24 hour test at Paul Ricard last month, will they be able to compete in their first race and dress rehearsal for Le Mans ? Sir Chris Hoy and Charlie Robertson will defend their lead in the championship in the LNT Ginetta after their home win at Silverstone. 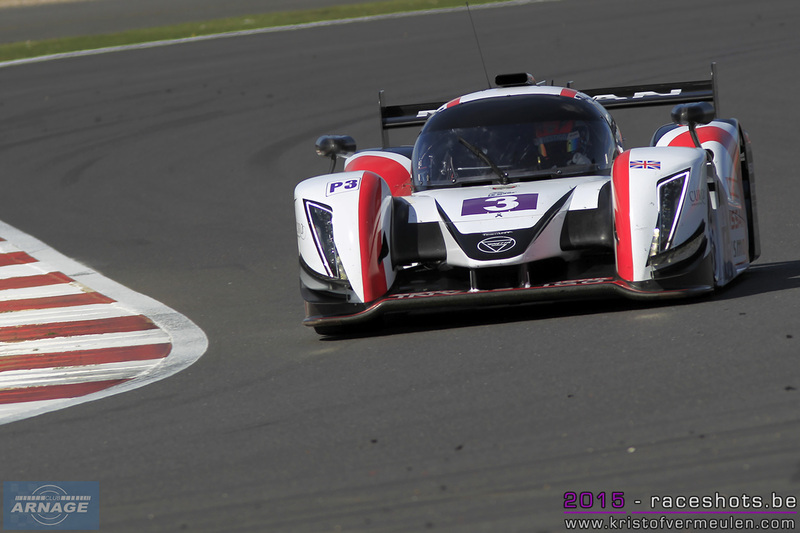 It will be interesting to see the development of the LMP3 cars after their first race last month. 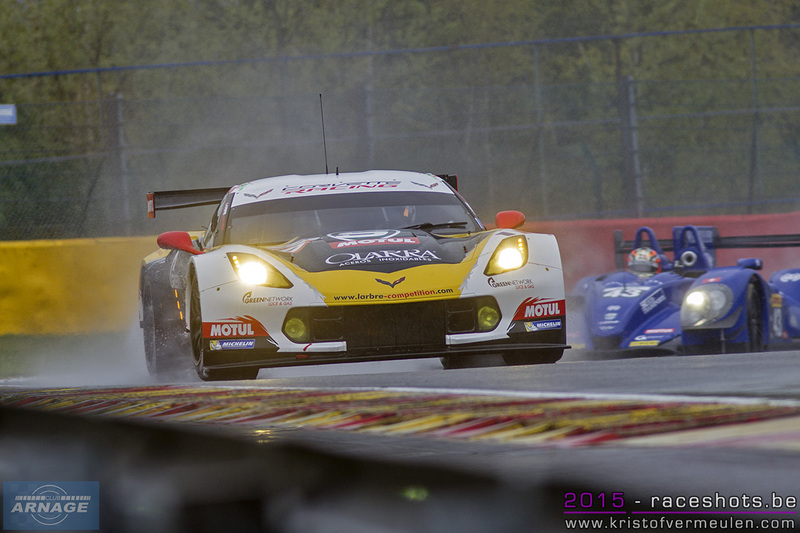 The field increases to 6 cars with the Italian Villorba Corse team making its debut in Imola with a Ginetta chassis. 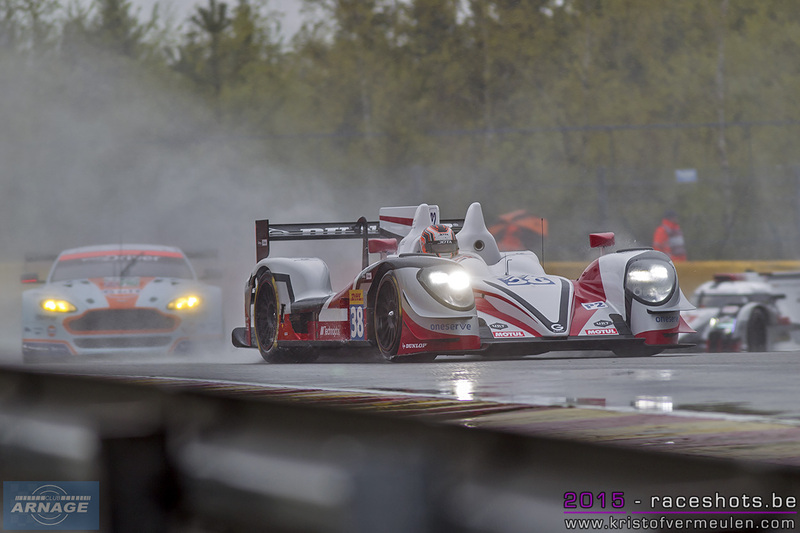 News was also announced this week that United Autosport has purchased 2 Ginetta LMP3 cars to compete in the 2016 season, with a debut during the last race of this season at Estoril. 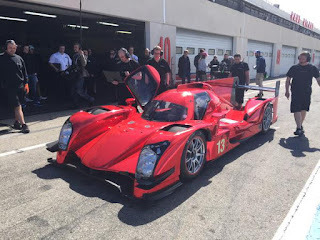 Graff Racing will also debut at Estoril, with the first Ligier JS P3. In the GT classes Gulf Racing UK will be aiming for a second win after clinching victory at Silverstone. JMW racing’s Ferrari will be lurking around the corner to get one step higher on the podium, and with AF Corse contesting a home race in Italy, the fight for the podium might well be on. Marc VDS, also aiming for the podium in Imola, goes into its busiest weekend ever with 4 races, 4 different categories and 3 different venues; ELMS at Imola, The Nürburgring 24 hours, and Moto GP at Le Mans. TDS racing dominated the Silverstone GTC race with a 2 lap lead. Let’s see if the Ferrari’s and Aston are able to close that gap during the race. 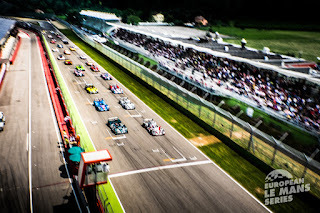 The green flag for the 4 hours of Imola will be waived on Sunday at 14h local time. The race will be broadcasted live on Motorstv and through the ELMS website. 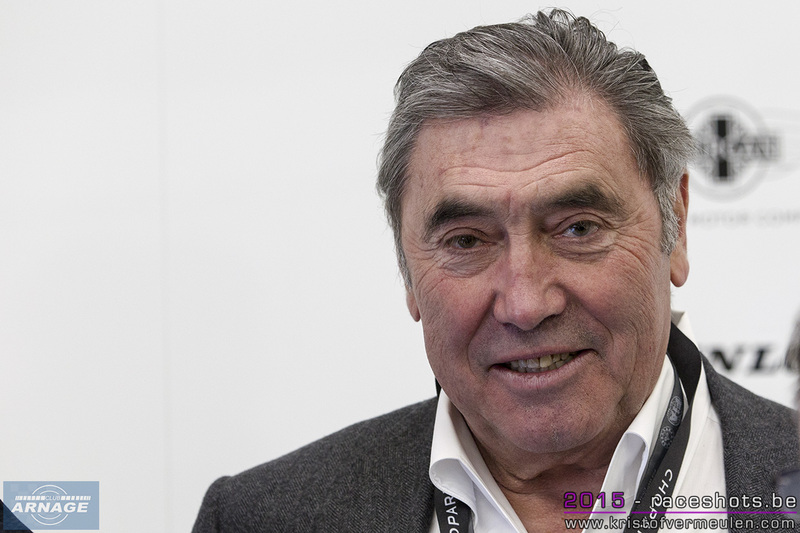 Belgian cycling legend and five times winner of the Tour de France Eddy Merckx was circulating in the paddock during the drivers' autograph session. So was six times Le Mans winner Jacky Ickx. Actor-driver Patrick Dempsey is always a popular attraction during the autograph session. 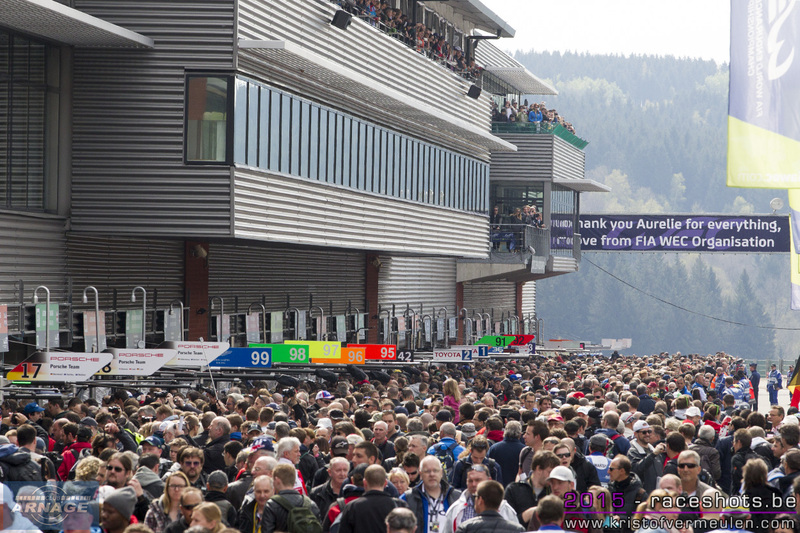 The open pitlane opportunity is a tradition of the WEC and at Spa there were thousands who took advantage of it. Pole man Brendon Hartley signs a model of a Porsche 917 for a race fan. 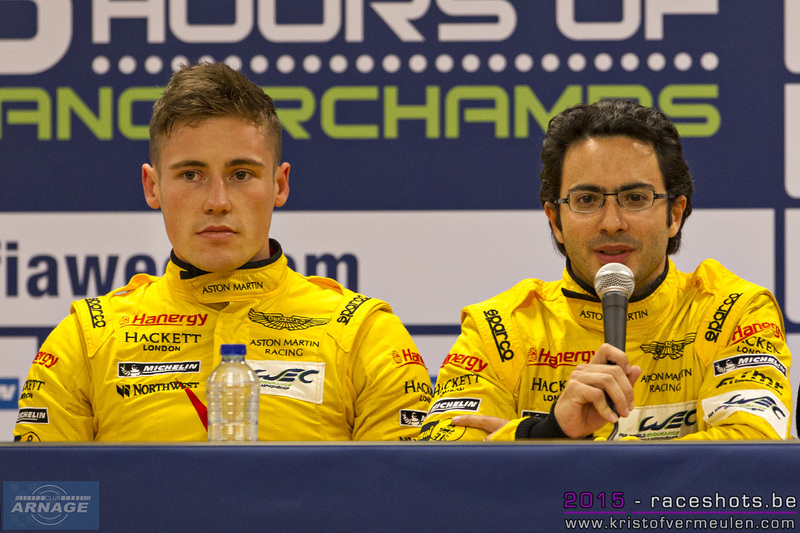 The drivers of the pole sitting GTE Pro Aston Martin - Richie Stanaway, Fernando Rees and Alex MacDowall. Toyota drivers Alex Wurz, Mike Conway and Stephane Sarrazin. KCMG drivers Richard Bradley, Nicolas Lapierre and Matthew Howson. 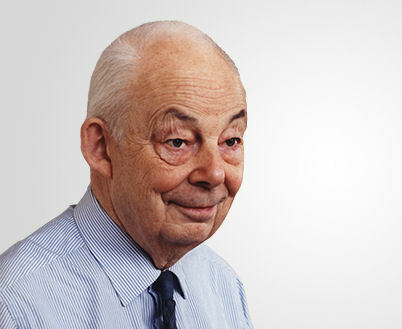 François Michelin, the grandson of the founder Edouard, passed away on Wednesday 29th April at the age of 89. He was a great visionary and innovator and the name Michelin will always be associated with motorsport, particularly at Le Mans. The Automobile Club de l’Ouest have chosen to honour the memory of this important captain of industry. Between 1952 and 1999 François Michelin was at the head of the group that was created by his grand-father, Edouard Michelin and his great-uncle in 1832. He was a farsighted leader who built up the company while pushing forward innovation. He gave his unwavering support to radial technology as well as expanding the company on the international scene. Qualifying in the Belgian Ardennes opened in the late afternoon under dry track conditions and a thin cover of not too ominous looking cloud.The GTE Am Aston Martin #96 was the first car out of pit exit after the green flag for the GTE qualifying dash. Stanaway in #99 Aston Martin soon set the target time of 2:17.167 and it was the Larbre Corvette that was quickest in Am with 2:19.329. 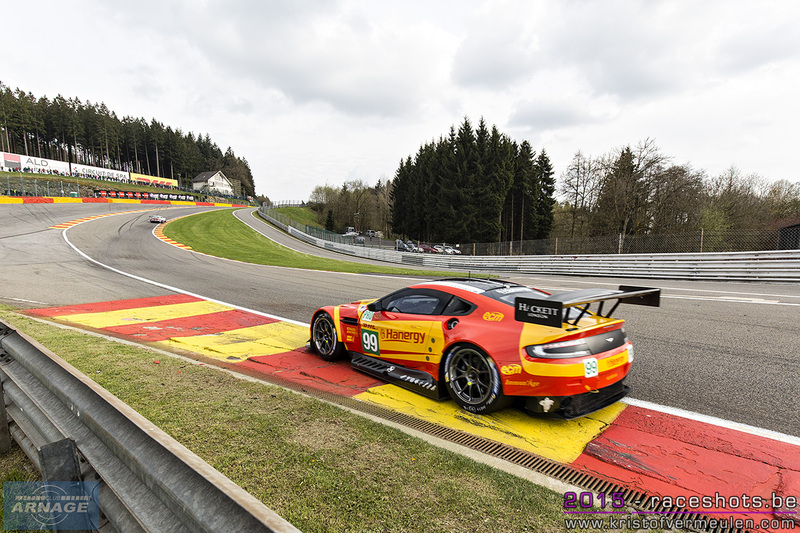 As drivers strived to improve, there was a certain amount of over-enthusiasm over the curbs, particularly at Eau Rouge/Radillon and by the close of the session nearly half the entire GTE grid had attracted warnings for exceeding track limits. 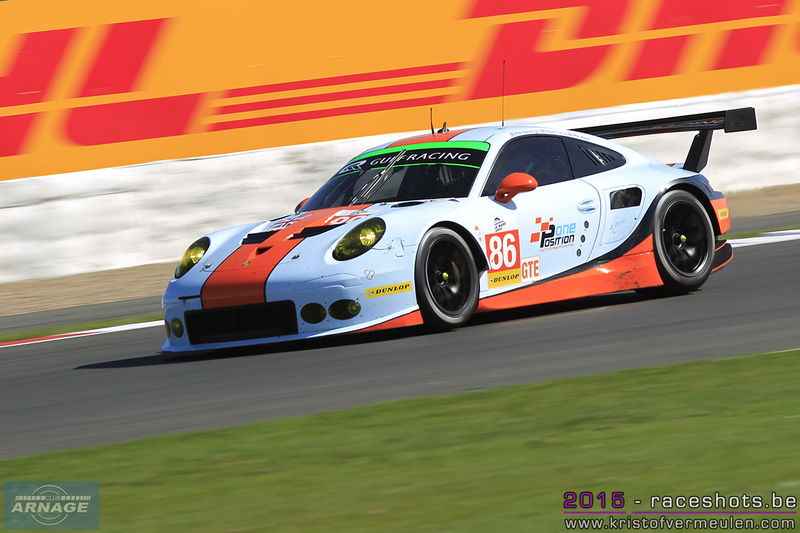 At the conclusion of the session it was the Aston Martin #99 of MacDowall, Rees and Stanaway at the top of the timesheet in GTE Pro with an average time of 2:16.840 from #51 Ferrari of Bruni and Vilander and the #97 Aston of Turner, Mucke and Bell. 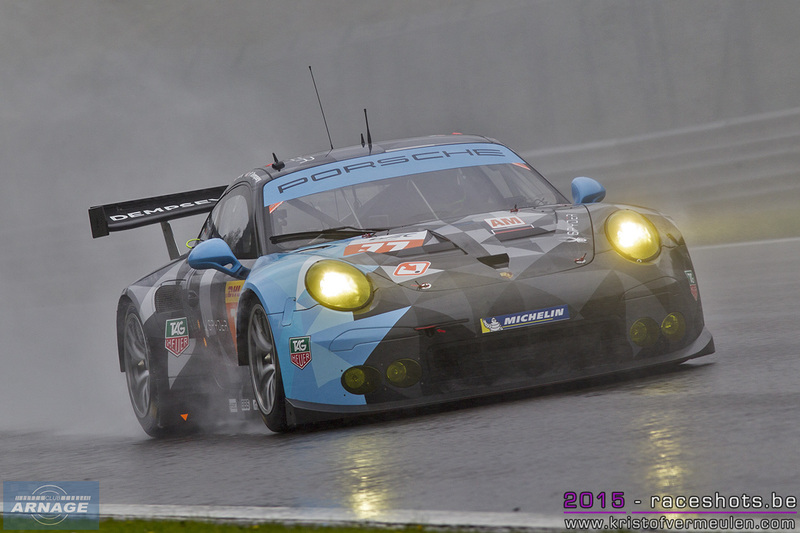 Porsche looked like they had the pace in free practice, but the game of fast sector bluffage and soggy track conditions was over when the green flag came out on LMP qualifying on a dry surface. 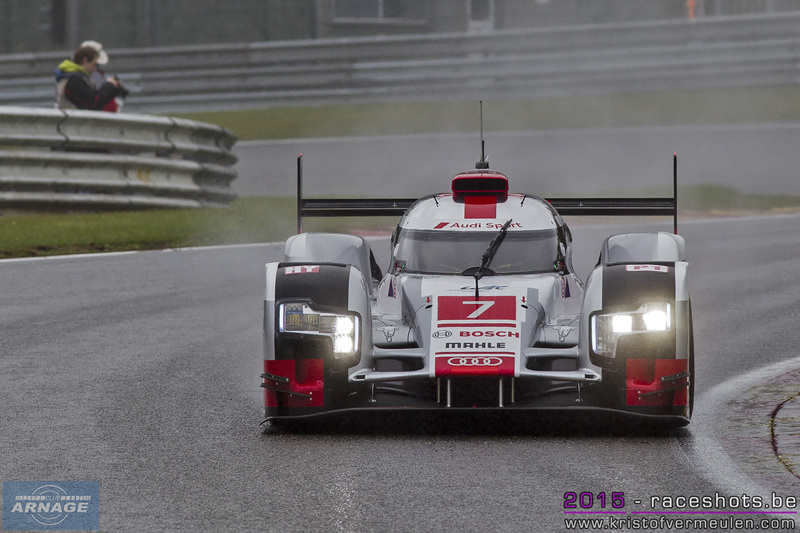 As soon as the times of the first flying laps were set, the three Porsche LMP1 cars were in 1.2.3 formation at the top of the timing screen, just occasionally with the Audi #7 sneaking into P2 before dropping back again. 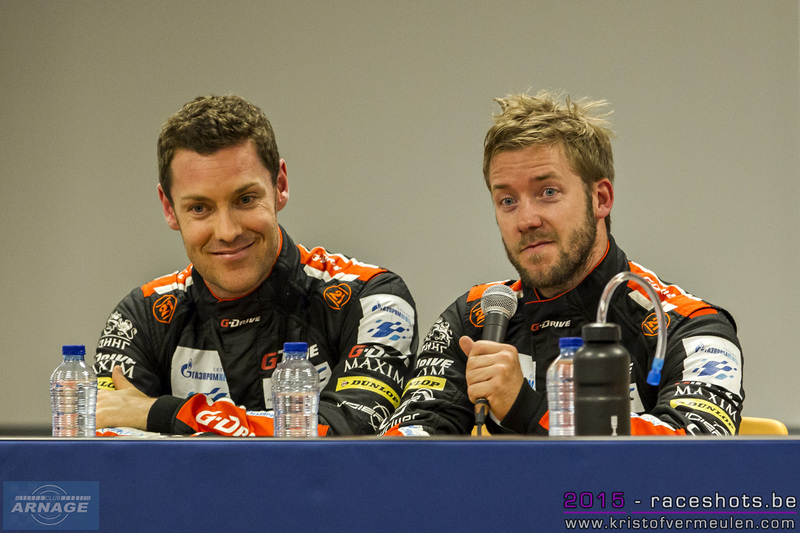 It was no surprise that the G-Drive #26 Ligier dominated the LMP2 times, with KCMG and SARD Morand battling for P2. 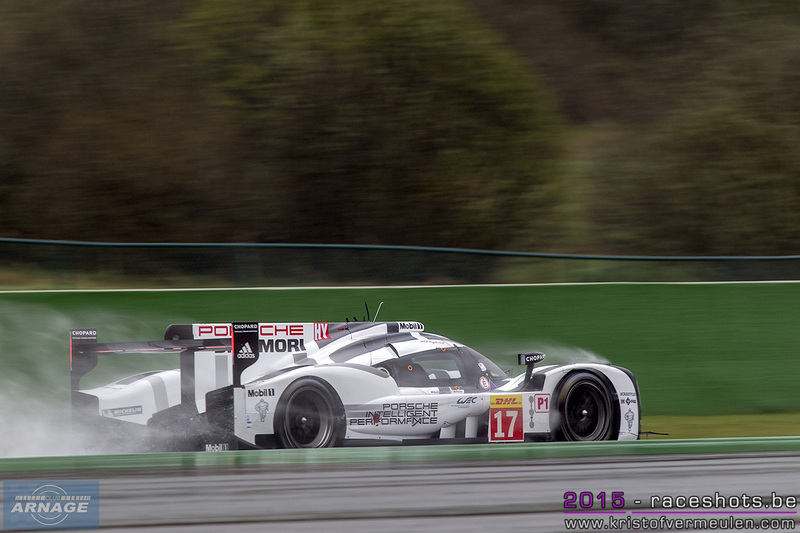 At the chequered flag, and with arithmetic completed, it was a clean sweep for Porsche, emphatically taking the top three grid positions with #17 of Timo Bernhard Mark Webber and Brendon Hartley on pole from the #19 and #18 Porsche 919 hybrids. 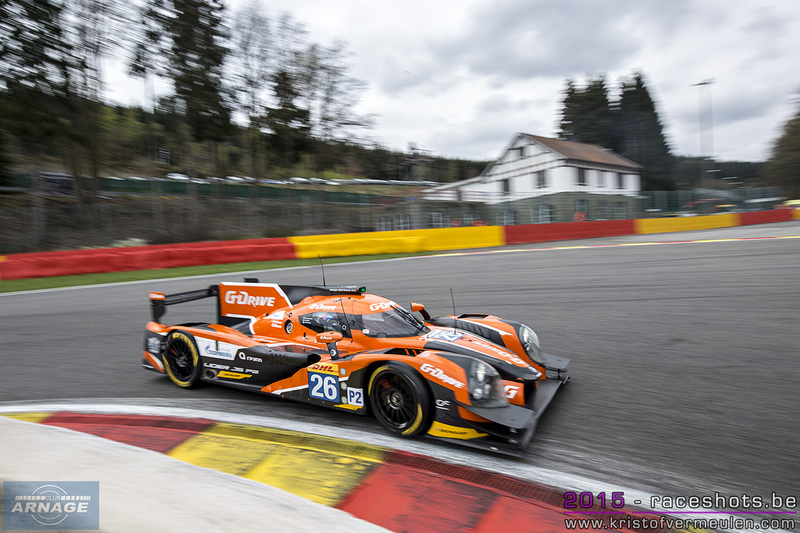 In LMP2 at the end of the session it was the G-Drive #26 Ligier on pole from #47 KCMG Oreca. and #43 SARD Morgan Evo Subsequent to post qualifying inspection however, the KCMG car was disqualified for "insufficient rigidity of skid block" and they will start the race from the pitlane and have a 30s penalty during the race.. This promotes the #43 to second and #28 G-Drive to third on the LMP2 grid. 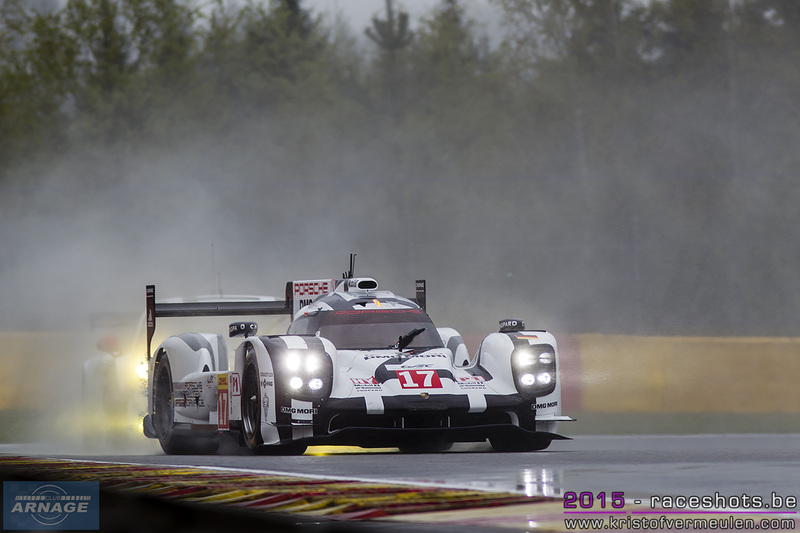 The pole position time in 2014 was 2:01.198 but qualifying procedure was different, so you can't read too much into that, although the 1:54.755 set by the #17 Porsche is a new record. As for predictions we are bound to fancy Porsche for the win, with such strength and numbers but you can never discount Audi who have a habit of picking up places when their German compatriots run into trouble. Toyota may also have a demon race strategy that will promote them as the hours pass and attrition bites. 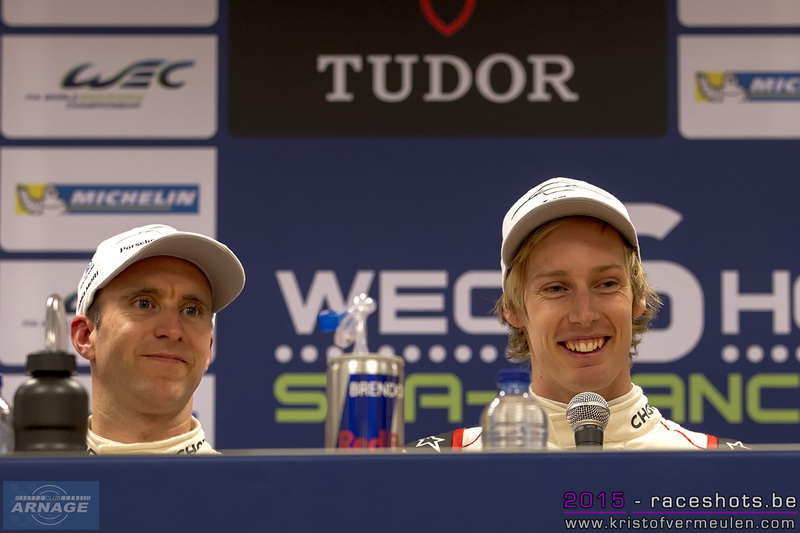 Brendon Hartley will be the starting driver for the #17 car on pole position, and Nick Tandy will be alongside him in the #19 Porsche 919 hybrid. The G-Drive #26 will be started by Sam Bird and the team SARD Morand Morgan #43 will have Oliver Webb as the starting driver. GTE Pole car Aston Martin #99 will have Fernando Rees at the wheel on the starting grid and #51 Ferrari Gianmaria Bruni. In GTE Am the starting driver of the pole car is Pedro Lamy in the #98 Aston Martin, followed by Paolo Ruberti in the Larbre Corvette #50. The team found that the damage to the car after Nakajim's accident with the Audi was rather more serious than they first thought so they replaced the tub and have built up a new car. Toyota are fortunate to have their Motorsports HQ based in Cologne which is only about 144 kms from Spa. All the same they got the job done and they had a car out again for the final free practice. It ran for around 22 laps which was about par for the course and a good shake down for what is effectively a new car. 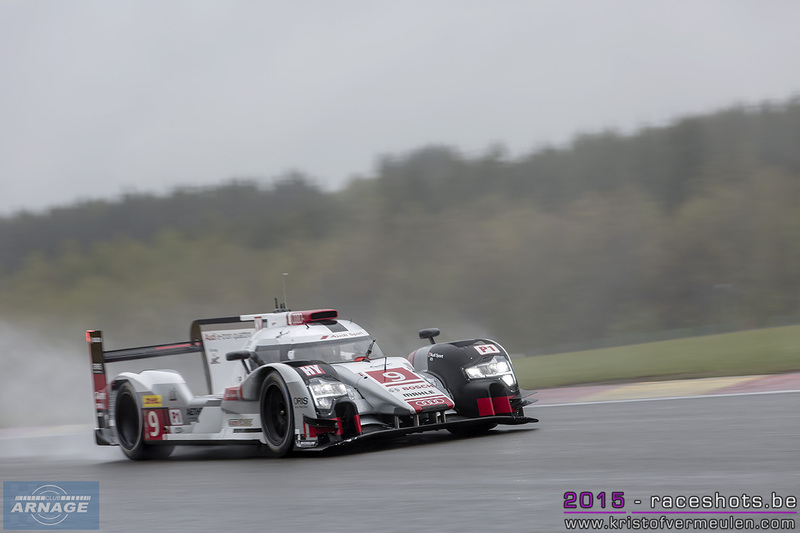 Both Toyotas were a bit off the pace behind the Audis and Porsches but that won't bother them much! Lights Camera Action Part Trois! There will be broken hearts and moist hankies throughout TV land.. it seems that, much to his surprise Dempsey has found himself written out of 'Grey's Anatomy'. His character, Dr Derek Shepherd- AKA Dr McDreamy- (sounds like something off a McDonalds menu) has bowed-out of the medical drama in a dramatic sequence where fans saw Dr Shepherd's car being hit by a truck just minutes after he had heroically saved four victims from another car accident.. bit of a bummer eh? He then went on to die of his injuries. This will no doubt wound his wallet but the good news is that it will leave him more time ( but maybe less money) to go racing. On top of all this his has just sold his bijou Malibu 'bolt hole' for $14.5 million and is divorcing his real life wife. if you reckoned that motor racing is expensive ..try a Hollywood divorce.. Anyway enough Hollywood soap stuff .. lets go racing ! Right up until the final lap of free practice it looked as if Porsche were well in control with their three 919's neatly lined up in 1st/2nd/3rd. 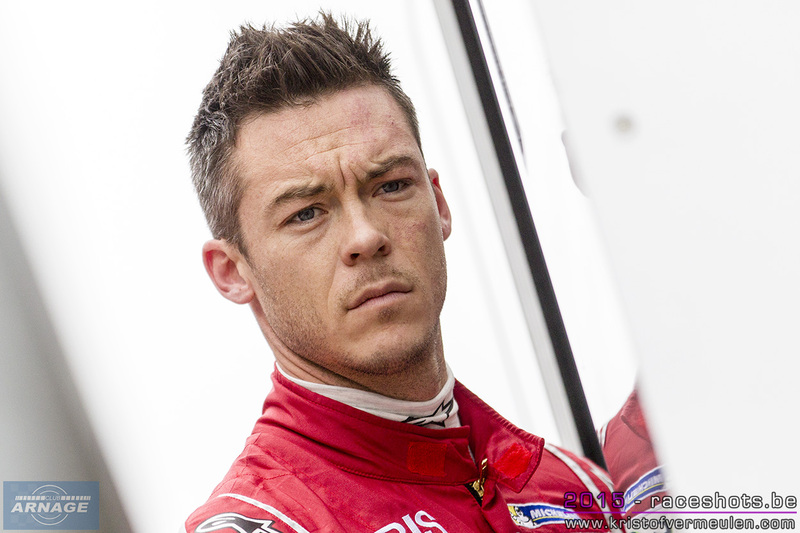 But Audi didn't like the look of that so sent André Lotterer out in the #7 Audi. We imagine his task was to put Porsche's noses out of joint and he succeeded! OK he was quickest but it wasn't by much, just 0.011sec but enough..Next up came the three Porsches who seemed to have had the edge during this session... 5th was Audi #8 with Di Grassi at the helm. 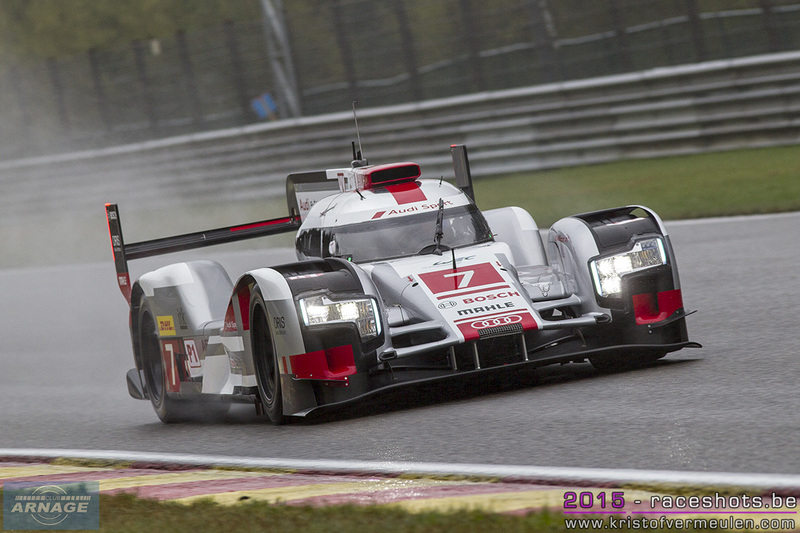 Maybe the Toyotas were running in 'race trim' but they were 6th and 7th ahead of the #8 Audi. The 'petrol' LMP1 CLMP1/01 was way off the pace languishing in 14th place. In LMP2 G-Drive and their #26 Ligier JS P2 Nissan were ahead of the KCMG #47 Oreca 05 Nissan and the #38 Jota Sport Gibson 015S Nissan. 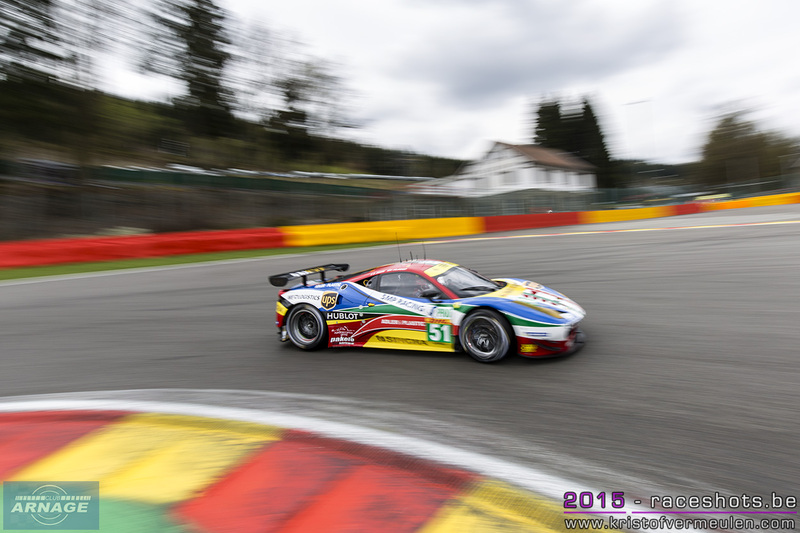 Ferrari might just have the edge here in LM GTE Pro with the 458 Italia. 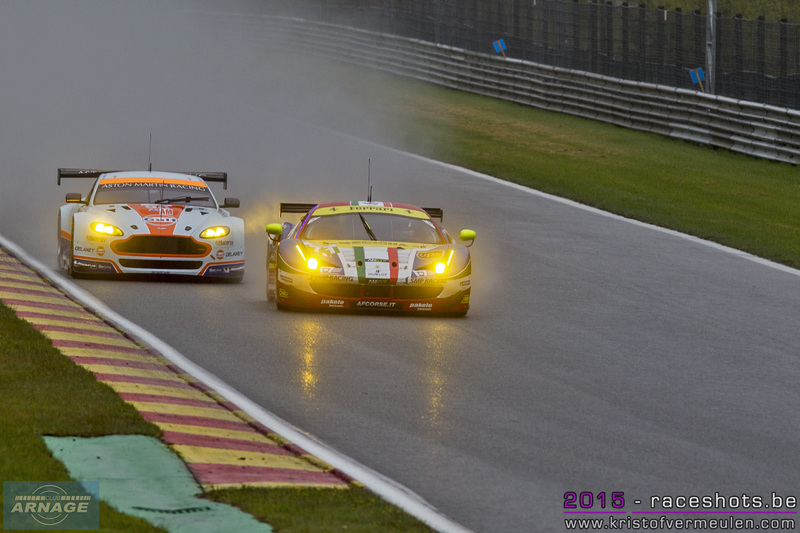 AF Corse took 1st and 3rd sandwiching in the #99 Aston Martin Racing Vantage V8. 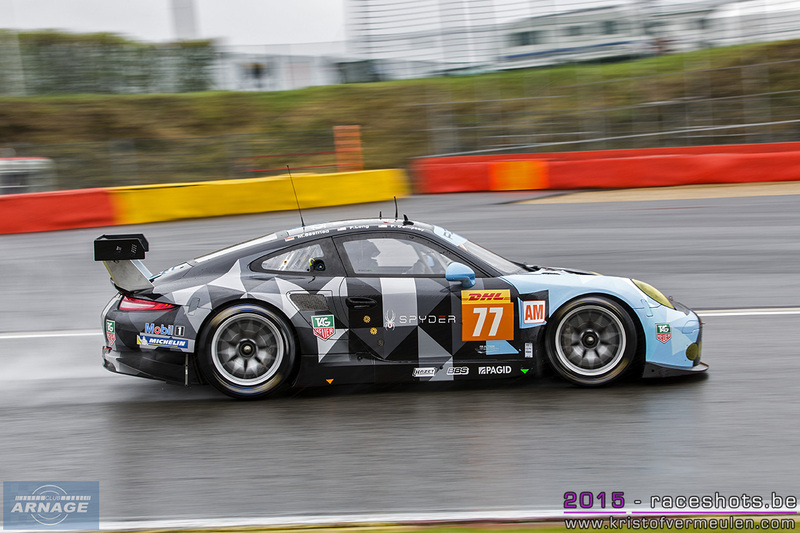 Porsche might be disappointed with 25th and 27th behind a hefty chunk of Aston Martins! 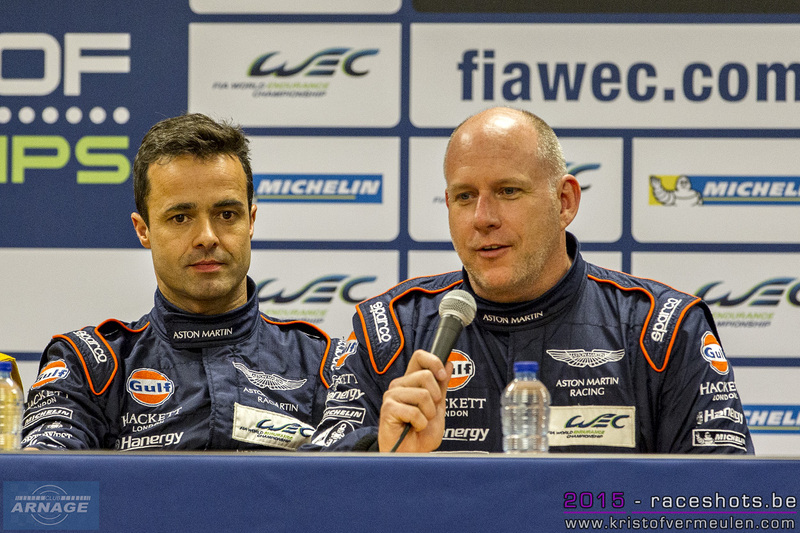 LM GTE Am Aston Martin lead in their #98 car ahead of the #50 Labre Corvette.. They even squeezed out on of the Manthey Porsches. The #88 Abu Dhabi-Proton Porsche was 3rd ahead of the SMP Racing #72 Ferrari. 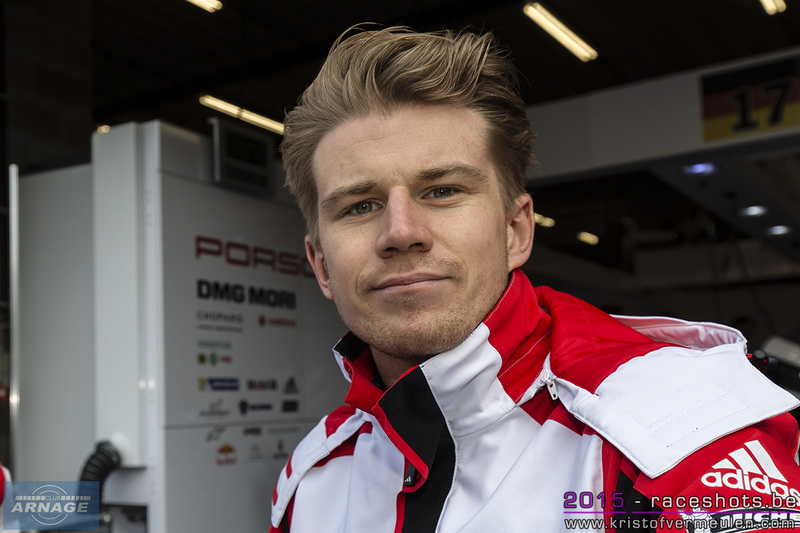 However the fun stops when we get to qualifying in a couple of hours time and only then will we see who was 'sandbagging' and bluffing..
Porsche’s new LMP recruit Nico Hülkenberg seems to be settling in well in WEC. 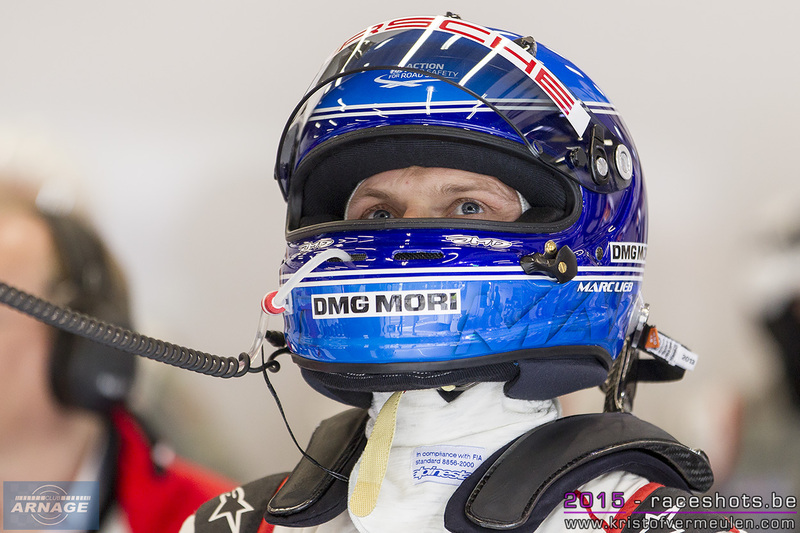 He believes that he is well prepared to make his WEC debut in the #19 Porsche 919 Hybrid this Saturday. 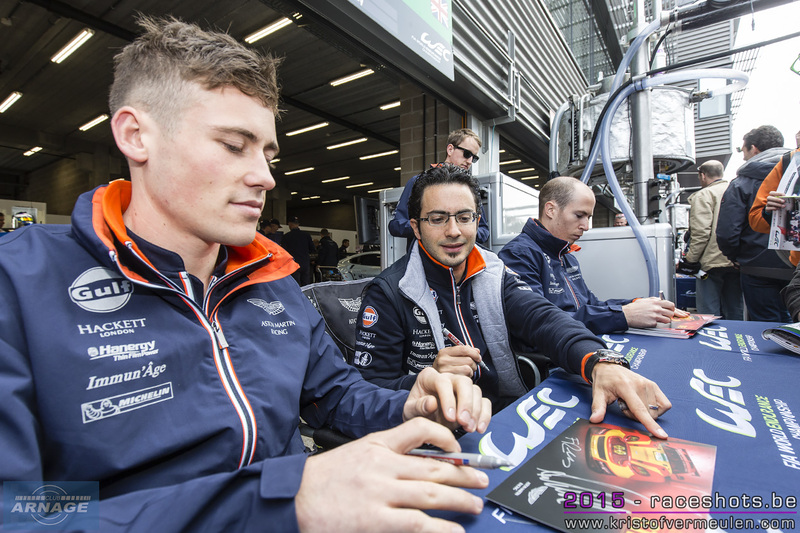 The German spoke after the first 90-minute Free Practice where he completed 13 laps aboard the LMP1 car he will share with Nick Tandy and Earl Bamber here at Spa. Toyota Racing tell us that unfortunately hospital checks last night have revealed that Kazuki has a fractured vertebra so he will remain in hospital for treatment, supported by team personnel, and will not participate this weekend. Further medical analysis in the coming days will determine if there are consequences beyond this weekend’s event. 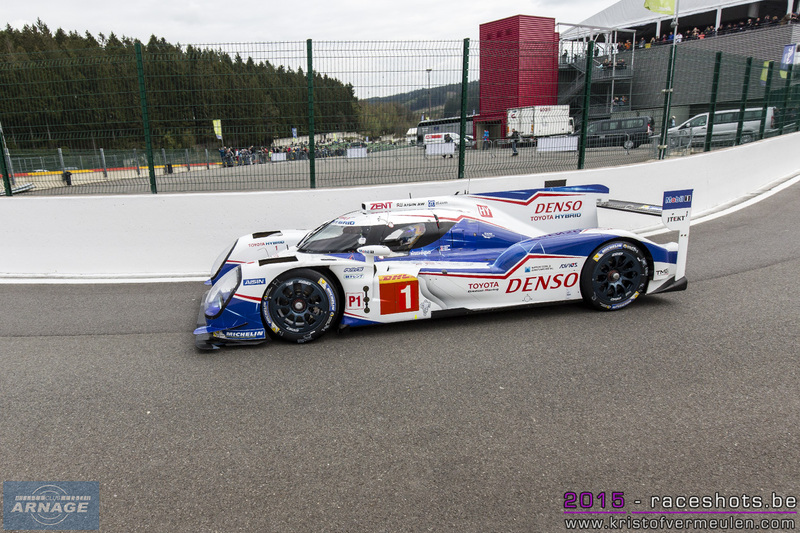 The #1 car will therefore be driven by World Champions Anthony Davidson and Sébastien Buemi this weekend, but the pair was unable to participate in second practice, due to the time required to change the monocoque. 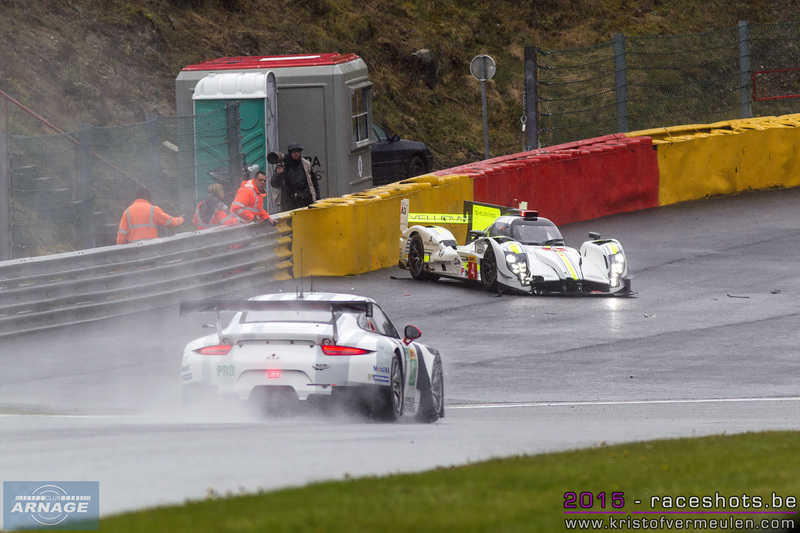 Free practice 1 and 2 at Spa were pretty soggy. The forest of the Ardennes is famous for capricious weather and Thursday was no exception. All cars put in laps in FP1 and the Porsche #18 was fastest overall with 2:16.611 but it is hard to read anything into that. 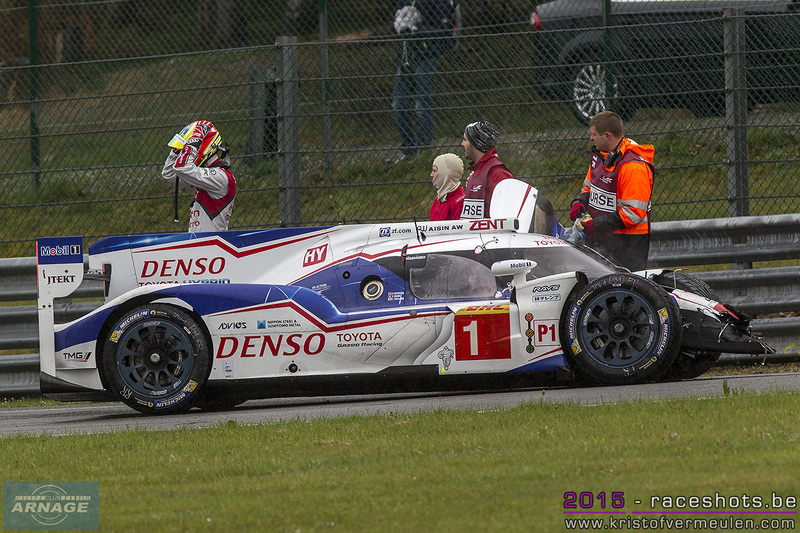 Nakajima in Toyota #1, unsighted by the plumes of spray, ran into the back of Jarvis in the #8 Audi at Les Combes (qv), sending the Japanese driver to hospital with an injured neck/back and interrupting the session for 27 minutes. In FP2 there was a deluge that kept lap times under 2:25 and this time the #19 and #17 Porsches topped the timesheets in LMP1. The Strakka #42 was fastest in P2 in both Thursday sessions. In GTE Pro it was the #92 Porsche that was fastest in FP1 and FP2, and in Am it was the #88 Porsche fastest in FP1 and #83 AF Corse Ferrari in FP2. 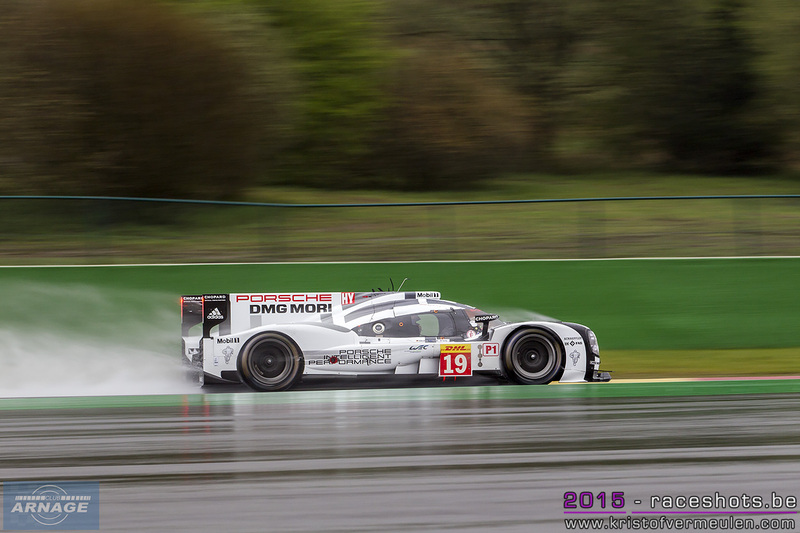 Changes from Silverstone include the extra Porsche LMP1 #19 driven by Hulkenburg, Bamber and Tandy. The yellow and red "Hanergy" Aston which ran as #97 at Silverstone is running as #99 here and Aston #97 reverts to Gulf livery. 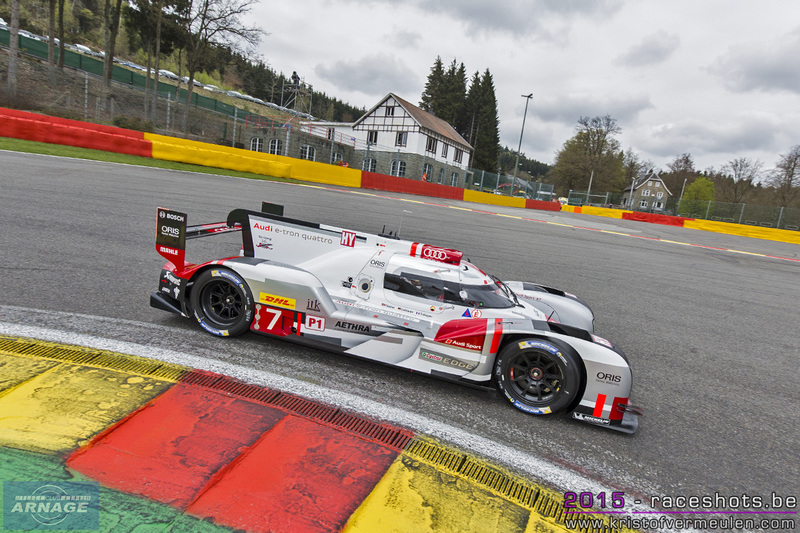 Audis #7 and #8 are in Le Mans aero configuration and #9 is in 'high downforce'.